The patented ALED Privacy-Plus technology by the Austrian technology company convinced the jury of the Architizer A+Award and won the award in the category "Building Products - Glazing Systems & Products". The Award will be presented on May 11, 2017 during a celebratory gala in New York City. Great success for Austrian technology company LightGlass. The patented ALED Privacy-Plus technology by the smart glass company was honored with the most renowned American architecture award, the Architizer A+Award. Paul Brettschuh, CEO of LightGlass Technology GmbH: "The Architizer A+Award is confirmation for us that we are moving in the right direction. As a result of all this attention, we have already been able to book several development orders from the automobile, glazing, yacht building, room division and façade industries. We will use this awareness to become even stronger internationally." The Architizer A+Award recognizes the best architectural projects and products every year. As the largest award of its kind, it has a worldwide audience of more than 400 million people. The top-class jury, consisting of industry icons like Denise Scott Brown, Bjarke Ingels and Tom Kundig as well as architecture personalities like Tony Hsieh (Zappos), Yves Behar (Fuseproject), John Edelman (Design Within Reach), Cameron Sinclair (Architecture for Humanity) and Barry Bergdoll (MoMA), evaluated numerous submissions from over 100 countries. The winners include renowned industry greats such as Gluckman Tang, Zaha Hadid Architects, IwamotoScott, Studio Gang Architects, Skidmore, Owings & Merrill LLP, Alison Brooks Architects, Hiroshi Nakamura + NAP and many more. 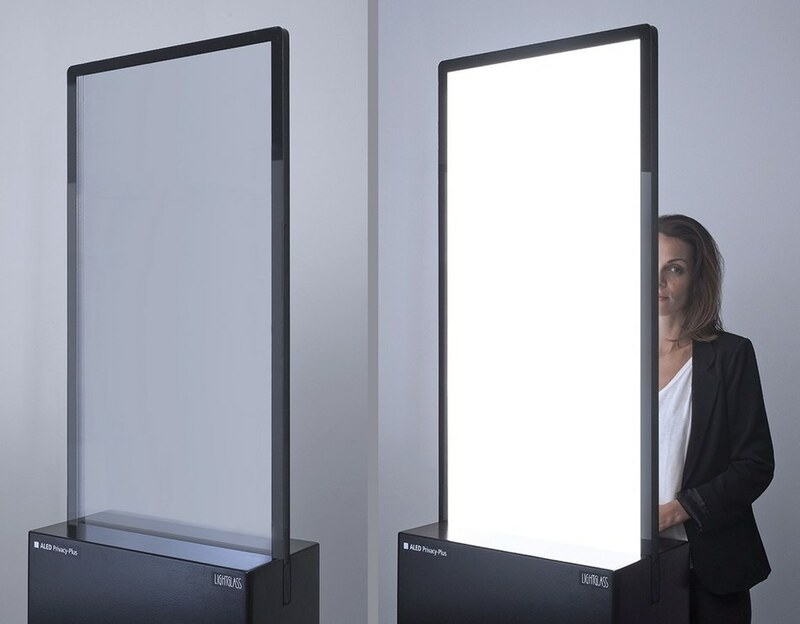 Austrian technology company LightGlass convinced with its patented technology ALED Privacy-Plus, the new generation for self-illuminating glass with increased visual protection. Architectural glass with integrated ALED technology offers artificial light in daylight quality at the push of a button even in darkness, which is not only of interest in northern latitudes, but also when it comes to living and working comfortably. ALED Privacy-Plus, the new technology from LightGlass, also offers adjustable visual protection and the unique chance to fulfill both the need for complete transparency and absolute privacy. The world's largest annual architecture and lighting trade show LightFair will take place in Philadelphia from May 9 to 11, 2017 and the Austrian company will be there to present its smart glass technology to an international audience, along with over 550 other exhibitors. "We have already worked very successfully with different international partners, such as JELD WEN and SWISSPACER from the Saint-Gobain group. The co-operation with AAMSCO is now another strategic collaboration with a US company," explains Brettschuh. This year, LightGlass will be announcing new industry co-operation partnerships in the automobile, windows & doors, branding & elevator construction areas.